The day after the Höstfest, we got off to a good start with a breakfast that lasted a few hours, which I assume is just how it’s done in the country. Thus strenghened, we patted the cats and played fetch with the dog, and wondered what to do. The previous day, in addition to the party, we’d visited a local bakery which specialised in traditional knäckebröd, or crispbread, some of which we ate during the morning-after breakfast. The backroom had been open, so we were able to see the line of soot marked ovens, wood stacked underneath in preparation for baking day. 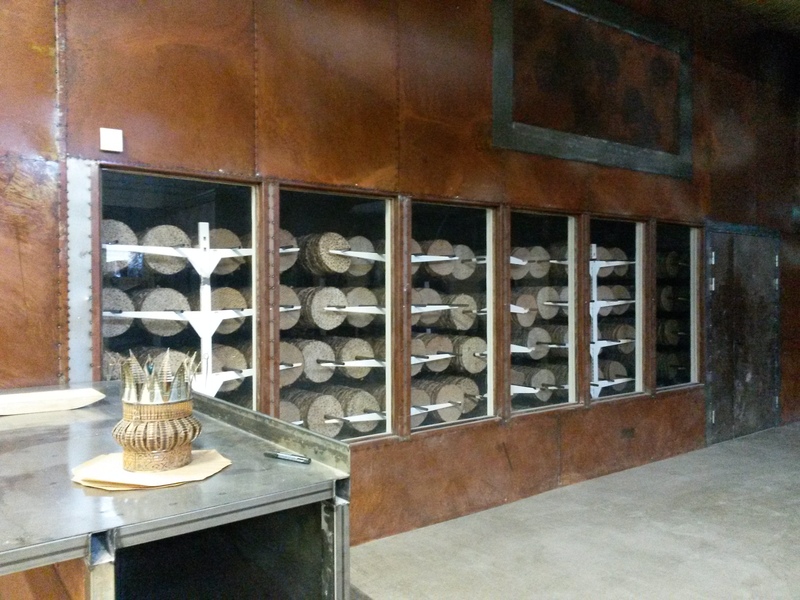 In a glasswalled room the round discs of bread hung in endless racks, waiting to be packaged. The whole area smelt wonderfully of baking and ash, and the earthy fragrance of burnt wood. A series of photos on the wall showed the opening day, the baking hall packed with crowds, with one particular face snapped more than others. It was the face of Benny Andersson, one of the Bs in Sweden’s most famous pop band, who had helped to finance the bakery. Proving perhaps that Sweden does really revolve around this little collection of valleys. 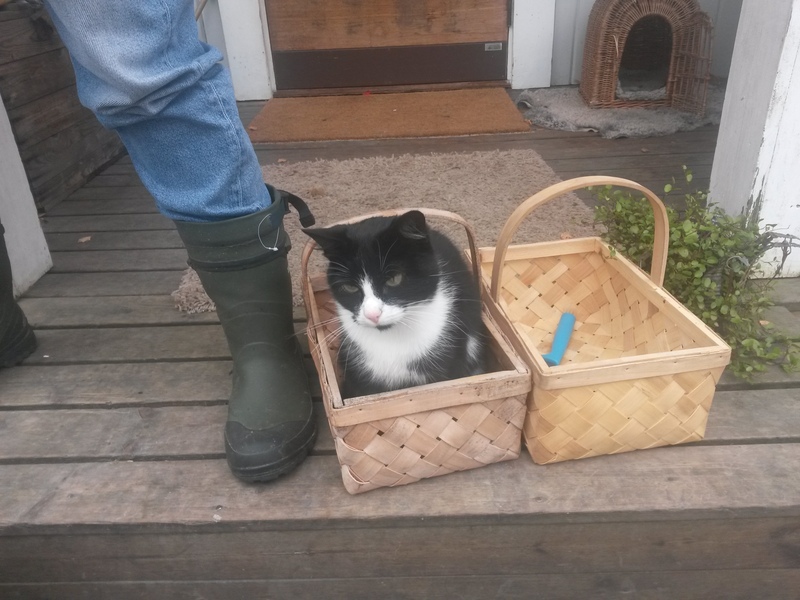 So the following day, after getting the cat out of one of the baskets, we hit the road and soon arrived at a little torp a few kilometres from the BnB. A torp is a Swedish cottage, usually made of wood, and originally owned by peasants. While they owned the houses they didn’t own the land, and over time many became the virtual slaves of the landowners, unable to survive on the small plot of land they could use and unable to save up for anything more. Many left during the migrations of the 17th and 18th centuries, and now the cottages have become summer homes, or the permanent homes of those who want to return to the land. We had met just such a couple the previous night, and it was them that we visited. The old, red painted wooden cottage was extremely cosy, and they had plenty of space on their land for a decent veggie patch and chicken coop, plus a growing shed up the back. More important for our purposes was the forest, which stretched invitingly up the hill. It took some time, but guided by the friend who owned the cottage, we were able to spot the orange coloured kantarell mushrooms amid the fallen birch leaves. Crawling along on our knees, brushing aside drifts, we found collections under fallen trees and tree roots sometimes smaller than our little fingers and sometimes as big as our fists. They were all tossed into our baskets, which gradually filled as we went further and further into the forest. 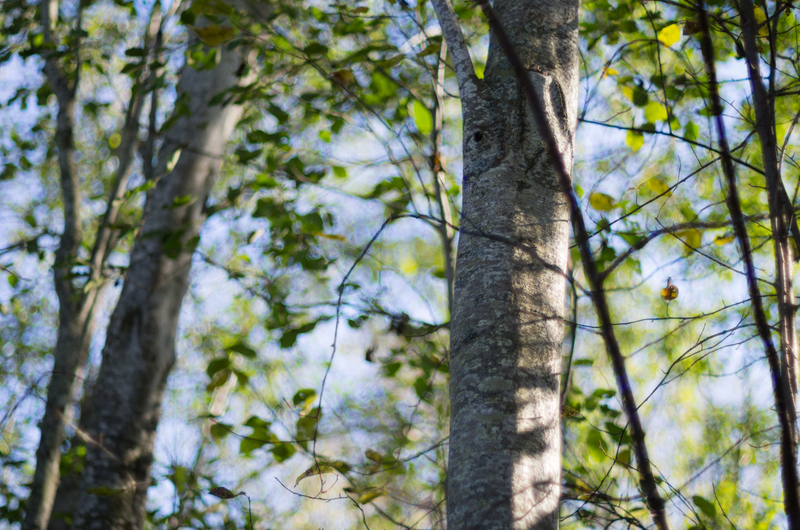 The trees changed from birch to pine, the ground thickening with moss that at times reached up to our ankles. 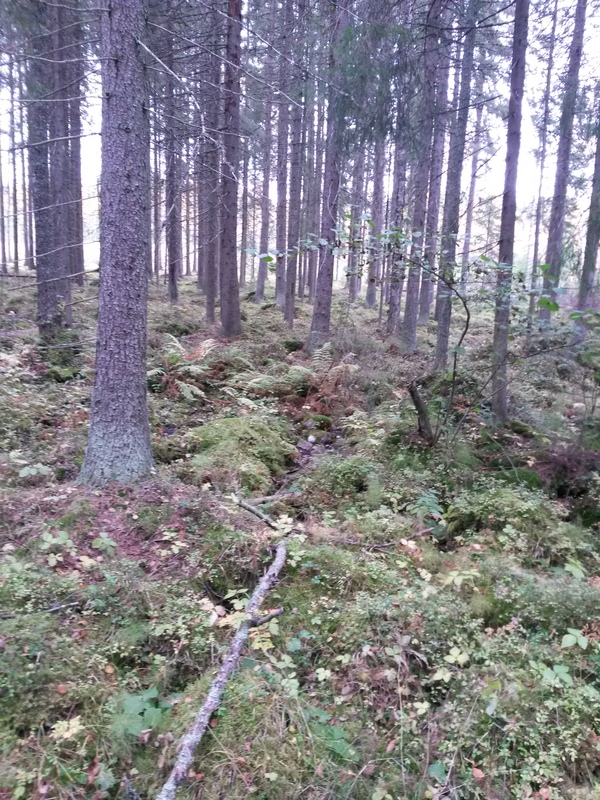 Then it gave way to mixed forest, and carpets of blueberry and lingonberry bushes, still full of sour berries that hadn’t seen quite enough sun. Through thickets of raspberry bushes, grasses and fallen tree trunks we went, scanning the ground, until we reached another pine forest. This one again had a mossy floor, but underneath the mounds grown on the tree roots were streams and swampy puddles, invisible until your foot slipped into one. So we clambered from mound to mound, now and then crouching for some of the precious mushrooms, and occasionally flailing our arms when we missed our footing. With our baskets filling and my toes numb through my thin, not-quite-winter-ready socks, we turned home. This time we went by a shortcut, bypassing the thicker parts of the forests, and passing an old stone wall which must once have guarded a house that was now long gone. Back at the BnB we cleaned the mushrooms and prepared for dinner. We cooked the mushrooms in butter and garlic, and ate them with fresh bread and leftovers from the party, washed down with homebrewed beer and cider. They tasted well worth the hours spent in the forest, and even better with company and a dog worn out from playing at our feet. Before we left the next day to start our long drive back to Göteborg, we visited the Dala river. It flowed just over a field behind the BnB, and from a small path we reached a jetty among reeds. Attached by a wobbly plank was a wooden platform kept afloat by airfilled barrels that bobbed on the river. It also had an engine and two chairs, and seemed a very comfortable way to mess about on the river. We stayed attached to the shore while the dog splashed about, and I took pictures of the river in the sun, and the church steeple of the nearby village that was just visible further upstream. The drive home was mostly uneventful, broken up by the counting of sheep, cows, horses, wind turbines and a couple of deer and foxes. Then home. 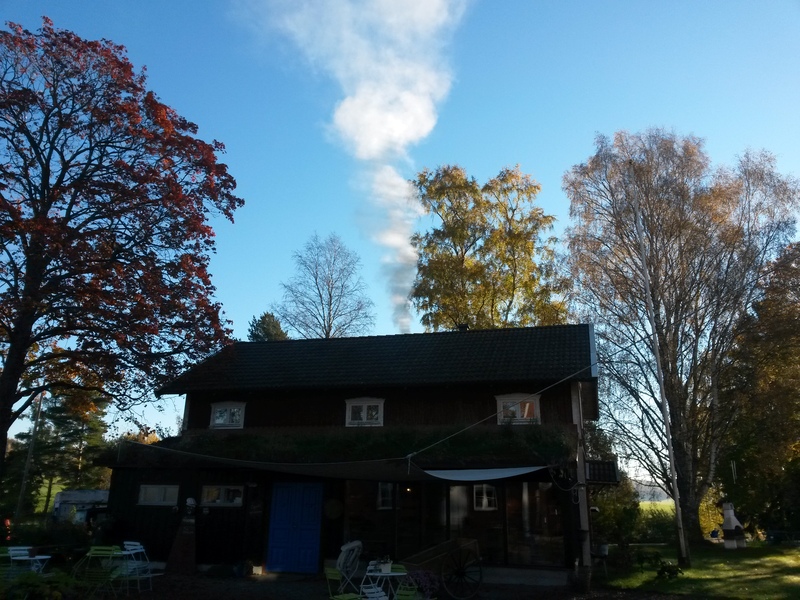 It took another week before I got around to cleaning the country mud from my boots, and even now the smell of ash and burning wood lingers on the bundle of knäckebröd as I eat it thickly buttered for breakfast. Ever since the house-swapping of rusticus mus and urbanus mus people have been living in the city and dreaming of a quiet life on the land. A couple of rolling acres for organic veggies, a chook or 5 and maybe a hive of bees to trade honey for freshly baked bread, when you cycle into town early in the morning. Probably down a lane with overgrown hedges and lowing cows. These images and ones like them linger in our imaginations, especially when the shoving shoulders, bright lights and acres of concrete start to bear down on us. 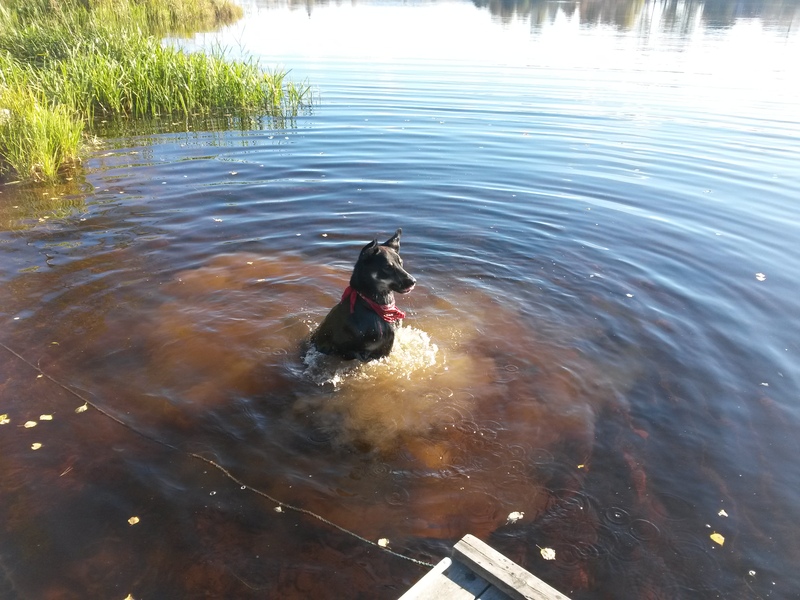 It was into this rustic peace that we found ourselves in last weekend, and not just any piece of country in Sweden. 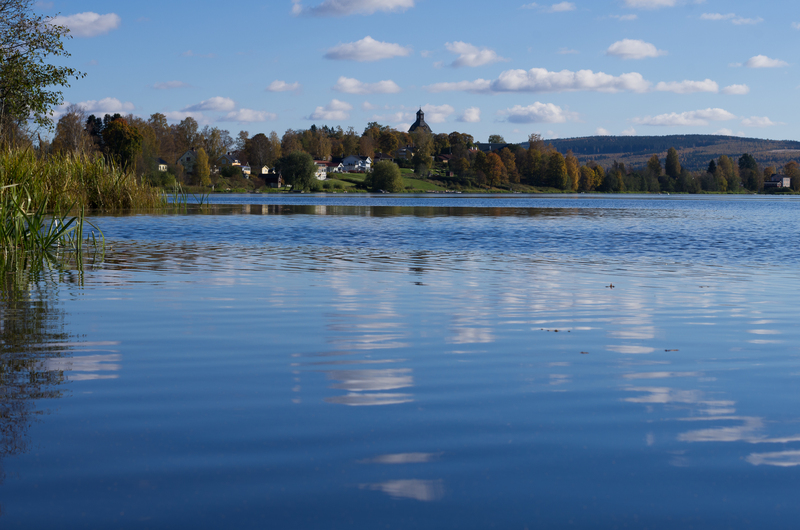 We were in Dalarna, called by Swedes (in particular those from Dalarna) the heart of Sweden. The name translates simply as The Valleys, or Dales, and also gives its name to the Dalahäst, the little painted wooden horse that is as synonymous with Sweden as IKEA. Locals will only consider someone as truly coming from Dalarna if they have at least 3 generations behind them who have lived there, in the same way that citizens of Rome look down on families who have been living in their city for only 100 years. And in the small towns that dot the valleys you can be sure that your genealogical qualifications, of lack thereof, will not be secret for long. But I’m getting ahead of myself. Our journey to Dalarna began with the loading of luggage into a friend’s van, the usual pre-boarding faffle and then we were off. Two Australians and three Swedes, ready for whatever adventure the world might throw at us. The first adventure thrown at us arrived with a bang on the highway, as the left rear wheel suspension snapped. After a period of masculine grunting and considering, our luggage was moved to the right side of the boot and we continued, with slightly less vim. The drive took about 7 hours, including stops for coffee and dinner, and the continual chatter from the backseat. 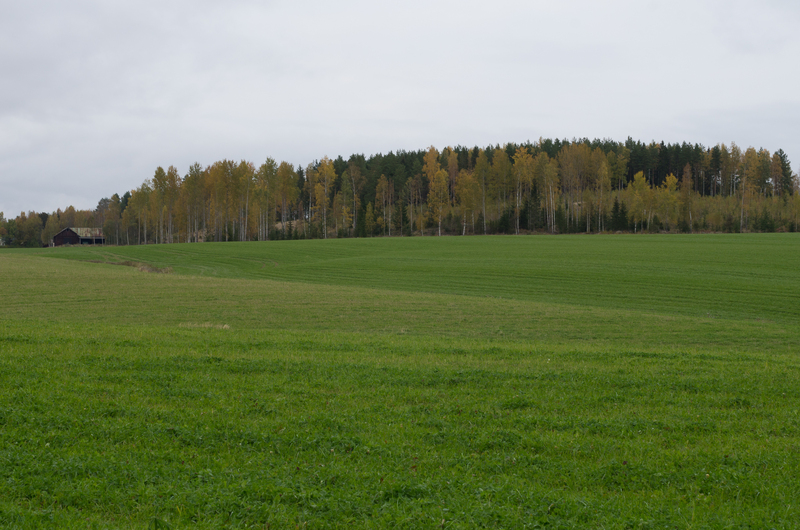 There is a lot to see on the drive from Gothenburg to Dalarna. Mostly it is trees, but there are a lot of them. And horses. As the night drew on even those sights were lost in the darkness, only broken by the lights of farm houses and towns in the distance. The place that we would be staying at was a BnB/bakery owned by a friend of a friend, which we barely looked at as we stretched our legs, grabbed our luggage and tramped into our accommodation. After tea and picking beds we all fell asleep. 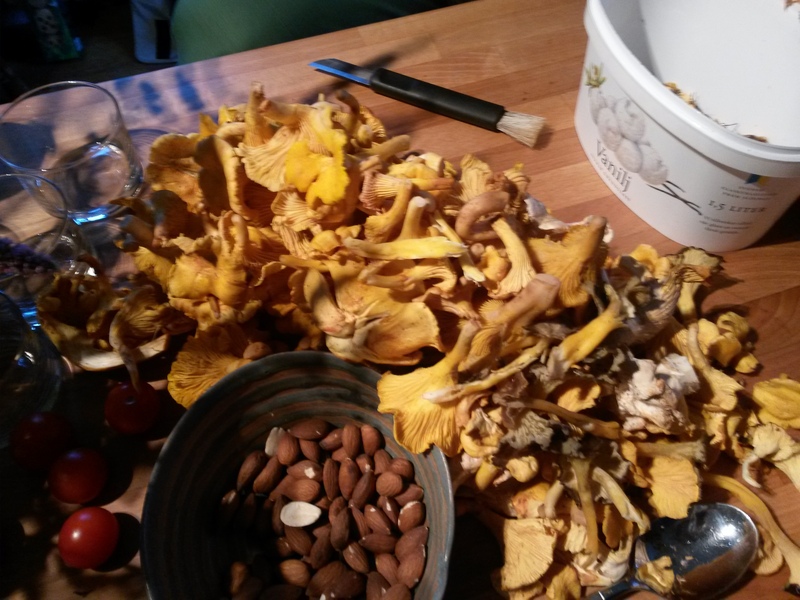 The reason for the trip, other than to visit Dalarna, was an annual party hosted by the friend of a friend who owns the BnB/bakery with her partner, bringing old and new friends from Dalarna together for food, company and music. So it was that after we woke up at a respectiably weekend time, had a three hour brunch of freshly baked bread, cheese and eggs, played with the dog, went out for supplies, visited a bakery (more on that in the next post) and had gotten dressed up, the party preparations were well underway. Which is to say that somewhere there were people doing something, but the bustle mostly passed us by, as we greeted guests and poked around trying not to get under foot. Once the party began our jobs became very clear, and we happily joined in with eating the piles of locally sourced food and sipping the home brewed beer and cider that my partner had brought. He ended up doing something of a tasting, offering tastes to all those sitting around us, and answering questions as though his brews came from a brewery rather than our spare room. 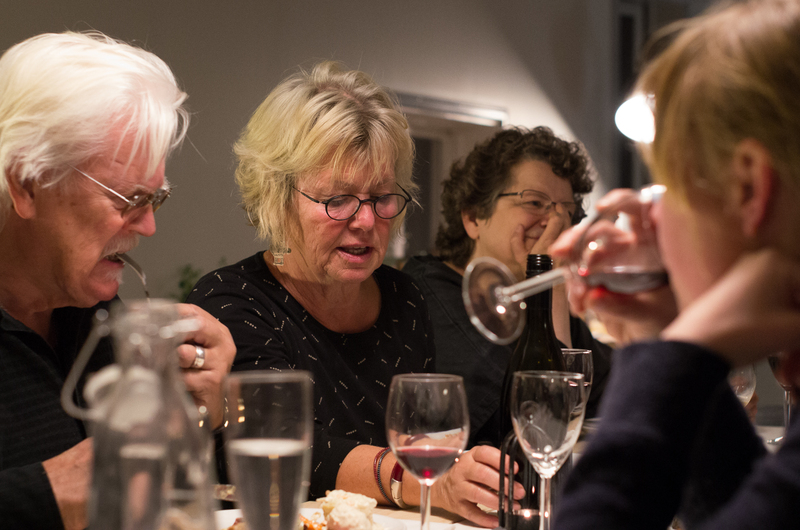 There were people from all over the area and further afield at the party, connected by families and friends, some of whom lived a few valleys away and only saw each other once a year or who bought bread from each other weekly. We spent a while chatting to a psychologist couple from Stockholm, and another younger couple who turned out to be living on the land in an old farm house just down the road in the charmingly named Pingbo. All of whom were patient with our not quite yet fluent Swedish. 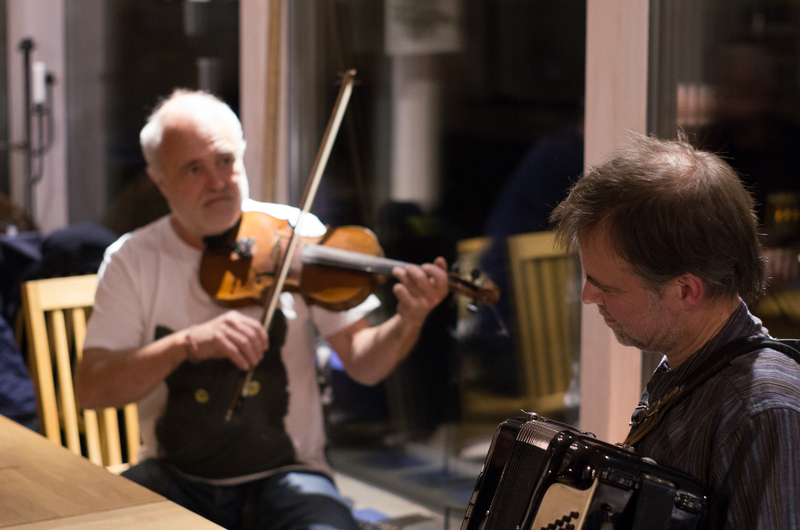 After helping ourselves to a mountainous fruit salad, we heard music starting on the floor below and went down the stairs to find the head baker ripping away on a violin while one of our roadtrip friends heaved away on his accordion. They brought people to their feet with a brisk waltz, then settled in for folk songs, improvising and skipping from song to song as we clapped our hands. Sometimes people sang along to songs from childhood or quickly found lyrics on phones, and calling out suggestions. As our glasses emptied we began to yawn and so left the party swinging away until late into the night, or early in the morning, long after we’d crawled under the covers and fallen asleep. Recently I joined a choir. There are a couple of reasons for this, one of which is that I’ve always liked singing. Even if you know me and have never heard so much as a peep let alone a yodel of song pass my lips, it is true: when I’m sure that there is no one to hear I can belt. Back before I got all self-conscious about singing I took part in the school choir, and first learnt the joy of joining my voice with others. I loved the feeling of being buoyed along by our combined song, and the strange sense of losing my own voice among the others. Is this is true of everyone else, that communal singing deafens the singer to their own voice, even though they can quite clearly hear those of their neighbours? In addition to a love of choral singing that being in the choir gave me, I am to this day word perfect on Can you feel the love tonight, I believe I can fly and Colours of the wind. Which hasn’t come in handy yet, but you live in hope. It was in high school that I was found unsuitable for the choir, in a moment that I still remember clearly. My very impressionable and easily deflated teenage self took this as a big blow, and forbore to sing in public again. My bedroom with the volume on high or in the solitude of an empty care were another matter. Then I moved to Sweden and decided to make a new life, taking advantage of new possibilities and opportunities to do things that I’d long wanted to try. Much of which ended up providing material for this blog, through a chicken/egg cycle of doing things in order to write about them, and writing about the things that I do. In this mood of ‘why not?’ a friend suggested joining a choir that she’d be in for a few terms, to which I answered after a thoughtful pause, ‘why not?’ surprising both her and myself. As with any new undertaking there was a problem: I don’t speak a word of Spanish. 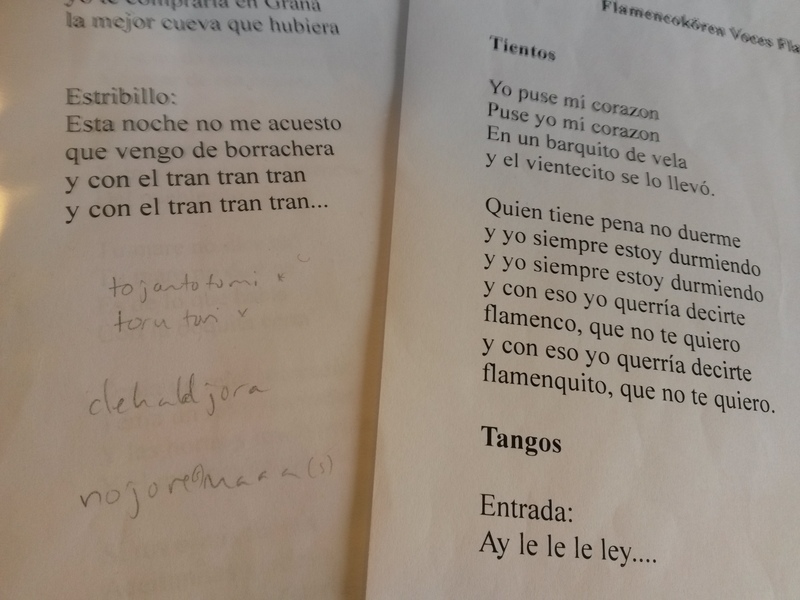 When you’re singing flamenco songs, it turns out that knowing the words isn’t all that vital. As long as you can sing emotion, you’ll make it. As you can well imagine there is a lot of emotion in the tangos, tientos, bulerías and fandangos, mostly longing, despair and the pain of love. 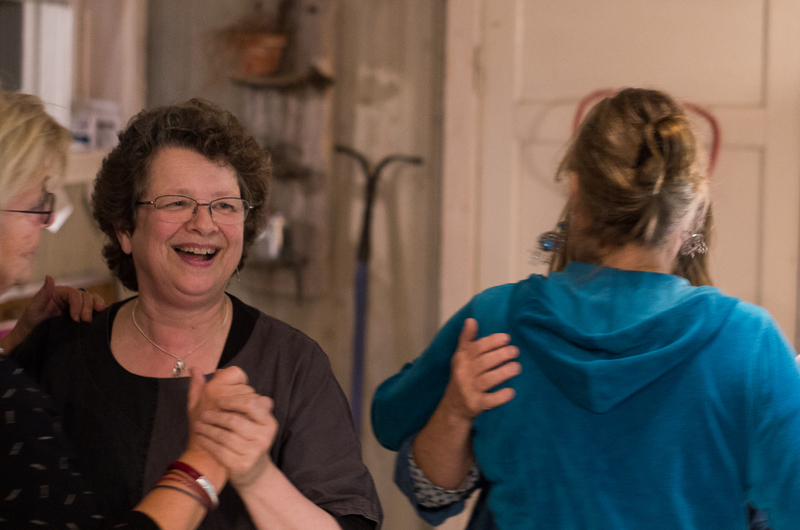 Our teacher can belt, raise her voice to the ceiling and bring it down with a flourish, leading us through songs that seemed impossible and out the other side. Other members of the choir have been part of it since it began and so know a number of the songs by heart, and know at least a smattering of Spanish. As their voices rise and fall I stumble along, trying to work out the pronunciation on the fly and realising how much energy real, proper athletic singing takes. As we pass from song to song I lose my voice among the others, trying to concentrate on the rhythm and tone of the teacher and the others, until all I can think about is the song, in words I don’t understand.